The arches of your feet are responsible for transferring the forces associated with different activities up and down your leg. Any problem with arches or surrounding soft tissues can cause pain in the foot, the knee and the lower back. You may experience a severe pain in arch of foot when walking or standing for long periods. 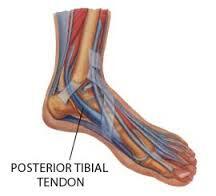 This happens because the supporting muscles and tendons in your foot are tight or weak. Other problems can also cause the same issue. It is among the most common causes of arch pain. It occurs when a broad band of fibrous tissue called the plantar fascia is stretched excessively, usually due to flat feet. 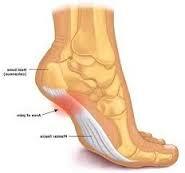 You are likely to experience pain in the heel as well when the plantar fascia is stretched away from the heel. The pain you experience is usually the worst in the morning. You may find some relief by taking pain relievers such as naproxen or ibuprofen. These medications help relieve inflammation as well. You may also have to receive a steroid injection, usually mixed with local anesthetic, to relieve persistent plantar fasciitis. In rare cases, you have to undergo a surgical procedure that involves detaching the plantar fascia from your heel bone. Tiny cracks in a bone, usually caused by repetitive force, are called stress fractures. You may develop these fractures because of overuse, such as repeatedly running long distances or jumping up and down. People with osteoporosis are at an increased risk of getting stress fractures. 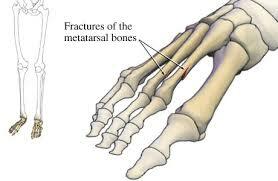 You are likely to experience foot arch pain when you have stress fractures of the navicular or the metatarsal bones. It is important to wear a brace or walking boot to reduce weight on your affected heel until your fracture heals. Some types of stress fractures require surgery as well. Your doctor may recommend surgery when you have a stress fracture in areas with a poor blood supply. Surgery may well be an option for elite athletes as well because it promises a more rapid return to sport. Flat feet or fallen arches mean that there is no space between your feet and the ground when walking or standing. This can lead to all sorts of foot problems, including sharp pain in arch of foot. You may have to use shoe inserts and opt for shoe adjustments to prevent foot pain. Moreover, applying ice, taking rest, and using a brace for walking may help lower your risk of developing serious complications. Physical therapy also proves beneficial. Rarely, a person with flat feet requires surgery. 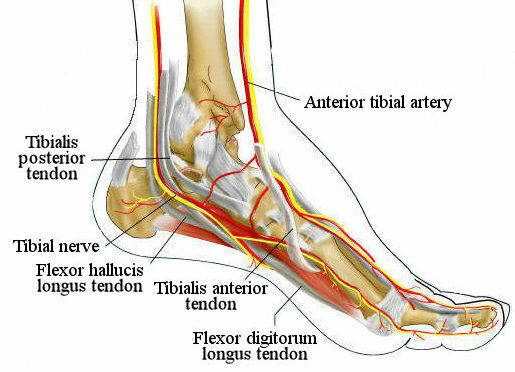 The tibialis posterior muscle supports the medial arch of the foot, but repetitive use can lead to tendonitis and cause a sharp pain in arch of foot. Being involved in high-impact sports such as tennis or soccer also increases your risk of developing posterior tibial tendonitis. Your pain may become worse when standing for long periods. Not getting it treated may cause the inner side of the foot to collapse down. This leads to flat feet that can cause other foot-related problems. You first need to ensure that you have this condition and a simple test can help confirm that. Stand on your one leg and try to rise up onto your tiptoes. If you fail to do it, you may have this problem. You have to take plenty of rest, apply cold compression, and do strengthening exercises for relief. Physical therapy may also be beneficial. Any compression on the tibial nerve can cause a condition called tarsal tunnel syndrome that makes you feel severe pain on bottom of your foot. You may also experience numbness in the heel that can extend down to the big toe as well as your three toes. You usually develop this condition when something narrows down the space in the tarsal tunnel, including ganglions, cysts, swelling from ankle injuries, bone spurts, and tumors. You usually need to take plenty of rest and do stretching and strengthening exercises to reduce the foot arch pain. Compression bandages, physical therapy, and steroid injections help as well. When other treatment options do not produce desired results, you may have to undergo a surgical procedure. 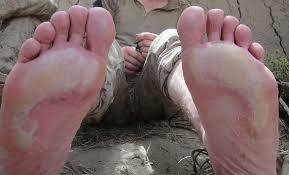 You develop trench foot when you expose your foot to damp conditions for prolonged periods. With this condition, the color of the sole of your foot may turn white or grey. You may also develop numbness or pins and needles in this area. Sharp pain in arch of foot and swelling are other common symptoms associated with trench foot. You have to take measures to reduce the dampness around your foot. Maintaining good foot hygiene is equally important. It also helps to include certain products in a foot bath to reduce swelling and damage. You can have muscle spasms in your foot that can cause foot arch pain. They usually go away in a few seconds but may last longer in some cases. Some possible causes of foot cramps include reduced circulation, dehydration, fatigue, and muscle weakness. You may find relief from foot cramps by using heat, doing exercises, and drinking plenty of water. Dehydration can cause cramps to hit any part of your body. Toe stretchers may also help prevent foot cramps. One of the simplest causes of foot arch pain is wearing ill-fitting shoes. When your shoes are too tight or have little arch support, you are likely to develop pain in arch of foot at some point. Talk to your doctor and learn how to select the best footwear. Buy a right pair of shoes for sporting activities. Ensure that your shoes are comfortable, supportive, cushioned, and wide enough to provide enough arch support. Sometimes, the real cause of your foot arch pain is an underlying medical condition. Arthritis, diabetes, and obesity are some of the common medical conditions causing foot arch pain. These conditions affect the strength of the bones, ligaments, muscles, and tendons, which in turn leads to pain in arch of foot. What Causes Pain Between Your Shoulder Blades?